The latest teaser for Batman v Superman: Dawn of Justice has been released and it is beyond everything the audiences expected. This particular trailer is named as Doomsday trailer. The beginning of the trailer shows Clark Kent meeting Bruce Wayne and the incumbent dialogues. There is another moment in the trailer where Henry Cavill i.e. Superman approaches Ben Affleck i.e. Batman in a thrilling promo where Superman takes off Batman’s mask. The end of the trailer features Wonder Woman holding a shield and taking center stage between the two superheroes. Directed by Zack Snyder, this three-minute trailer released by Warner Bros. is a full-length superhero and villains battling, treat to watch. The Wonder Woman has debuted with the most badass entry in the entire trailer with Gol Gadot making her debut. The movie’s cast also includes Jesse Eisenberg as Lex Luthor and his role appears to be villainous, humorous and quirky. Batman vs. Superman: Dawn of Justice also includes other cast members like the beautiful Amy Adams appearing as Louis Lane, Holly Hunter as Senator Finch, Diane Lane as Martha Kent, Laurence Fishburne as Perry White, and Jeremy Irons as Alfred Pennyworth. Jena Malone and Scoot McNairy also appear in unspecified roles. 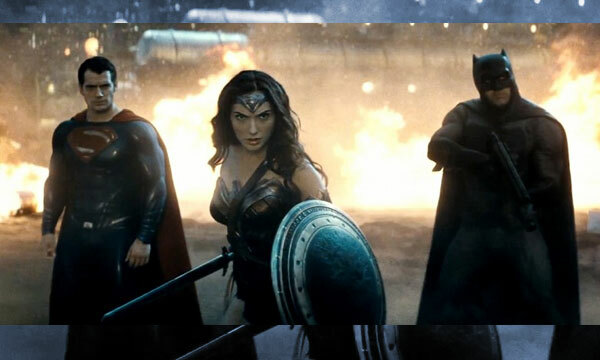 The movie Batman vs. Superman is slated to be released on March 25th, 2016.